Viswasrao was the eldest son of Peshwa Balajirao from his first wife Gopikabai on 2nd March 1742. Viswasrao had inherited the looks of his grandfather Bajirao and had even exceeded his charm .G. S. Sardesai writes that there was no one more handsome in Peshwa’s family than Viswasrao . 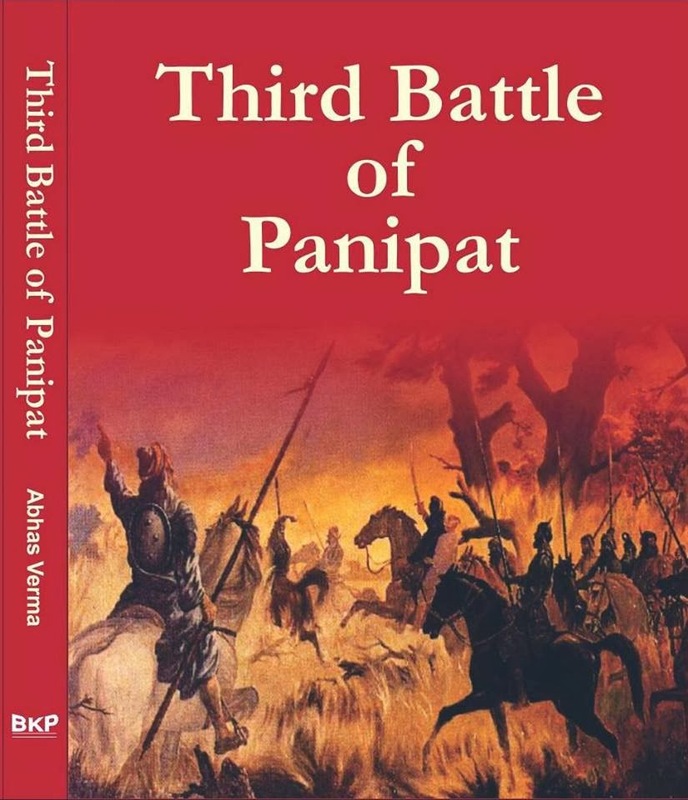 Raghunath Yadav author of one of the Panipat Bakhar had stated “पुरुषांत देखणा विस्वासराव व बाईकान्त देखणी मस्तानी” . On 2nd May , 1750 Viswasrao married Lakshmibai, the daughter of Sadashiv Hari Dikshit Patwardhan, a leading banker in Poona town. Viswasrao was trained by Dattaji and Jankoji Sindia and he undertook his first military campaign against the Nizams in the Sindakhed Campaign(1757). Peshwa gave the command of the impending campaign to his eldest son Vishvasrao, then only fifteen years old , in order to afford him experience for his future position in the State. Damaji Gaikwad and other chiefs joined the army in due course. The Maratha forces under Viswasrao left Poona on 27 August in the direction of Aurangabad, the Peshwa and Sadashivrao halted on the Godavari to watch the operations beyond. Aurangabad was the main objective for the Marathas to reduce and for the Nizam to defend. Hostilities began in November. Nizam Ali was put in charge of the campaign by Salabat Jang. As the Marathas were marching upon Aurangabad, they received news that Ramchandra Jadhav a powerful Maratha commander in the Nizam's service was coming rapidly from Bhalki to remove the threat to the capital. In order to prevent Jadhav attacking the Peshwa's army before Aurangabad, Dattaji learning that Ramchandra Jadhav was at Sindkhed quickly moved upon that place and at once invested it. These surprisingly quick movements were most effective. The small rampart of Sindkhed was not likely to hold out long. Nizam Ali with Ibrahim Khan Gardi at once marched from Aurangabad to Sindkhed, in the wake of Dattaji's men to relieve the pressure upon Jadhav, which increased every moment when swarming Marathas quickly gathered from various , directions. A fierce struggle between the two opponents raged for nearly a month round that small place. Nizam Ali and, Ibrahim Khan effected a junction with Jadhav and tried to break out all in a body through the Maratha cordon on 12th December under the shelter of their powerful artillery. A fierce battle was fought continuously for four days at the gate of Sindkhed, when Nagoji Mane a supporter of Jadhav was killed along with many of his followers. On 16th December darkness set in towards evening and the combatants parted. Victory remained with the Marathas. The next few days decided the fate of the campaign. Hordes of Maratha cavalry came sweeping upon the Nizam's forces. On 17th December Nizam Ali acknowledging defeat sent Vithal Sundar to the Maratha camp begging for terms. Peace was concluded by the Nizam ceding to the Peshwa territory worth 25 lakhs along with fort Naldurg. Ceremonial visits by the two principals at Sakharkhedla ratified and confirmed the treaty on 29th December 1757. Two years later on 9th November 1759 Kavi Jang, the keeper of Ahmadnagar surrendered the place to the Peshwa on receiving a handsome reward in money and jagir. This led at once to a fresh outbreak of hostilities between the two neighbours. Peshwa entered it with due pomp on 29th November . Sadshivrao , Raghunathrao , Viswasrao and most of other chief Maratha Sardars too assembled in Ahmadnagar. Nizam Ali's army in order to counter this military gain of Marathas moved first to Bedar and then to Dharur. Sadshivrao , Raghunathrao , Viswasrao moved South-east from Ahmadnagar .The Nizams sent their main army ahead to the fort of Dharur and stayed with their slow moving artillery .The Maratha armies quickly rushed in the direction of Bidar to prevent the Nizams from reaching Dharur . Battle began between Marathas and Nizams on 20th January near Udgir, about 50 miles northwest of Bidar. The Nizam army marched out from Udgir in a hollow square and slowly moved towards Ausa , skirmishing all along the way . Fifteen miles before they could reach the fort they were surrounded by the Marathas on all the sides .Marathas then fell upon their rear . On 3rd February ,1760 the Nizam army was completely routed at Ausa and Nizam Ali accepted his defeat and sued for peace. Viswasrao displayed great archery skills in this Battle . When Sadshivrao Bhau was appointed to lead the Panipat campaign , Viswasrao was appointed as the nominal head of the Maratha army . It has been stated in Marathi chronicles that Gopikabai ,the wife of Peshwa did not wanted Bhau to be promoted to higher offices as she feared that this may harm the prospects of her own family members . After the victory of Udgir , she became cautious about the rising fame of Bhau and when she came to know that Bhau was leading a large army in North . She insisted on sending Viswasrao along with Bhau to battle against Abdali as she did not wanted Bhau to take all the accolades after defeating Abdali and wanted Viswasrao to play a bigger role . By sending Viswasrao as a nominal head she also ensured a check over Bhausaheb as she feared that he might set up an independent principality of his own in North when enjoying supreme command there without a partner .Few Historians have expressed a view that the appointment of Viswasrao for the campaign had nothing to do with Gopikabai‘s opinion , it was entirely the Peshwa‘s own decision. So that Viswasrao could get the requisite experience in the north, while few others claim that Bhau asked for Viswasrao‘s presence as the Peshwa‘s son would provide some weight to Bhau's own authority. After the victory in Delhi a Darbar was held and Viswasrao was presented homage by Maratha sardars. False rumours spread around that Viswasrao was placed as the emperor and when Bhausaheb came to know about these facts he deposed the Mughal Emperor Shah Jahan Sani and proclaimed Shah Alam as the emperor and appointed his son Jawan Bhakht as his regent . After the victory at Kunjpura a grand Durbar was held at which gold was presented to Viswas Rao on 19th October, coinciding with the occasion of the Vijaydashmi . In the finale battle of Panipat , Viswasrao led the troops of Huzarat and came down heavily on the Afghan centre under Shah Wali composed of 16,000 Durranis . The Maratha cavalry around 13,000 strong broke up the enemy's centre killing or wounding three thousand Afghans in Shah Wali‘s post . “The Marathas drank them up like the water of an ocean” .Shah Wali himself was left with hundred or two hundred horses and fifty zamburak camels and the remaining Durranis in the Afghan centre fled from the battle field .Unfortunately between 2 and 3 P.M. Viswasrao after receiving a sword cut in the neck and an arrow wound on his left eye-brow fell from his horse Dilpak with a bullet shot . Viswasrao‘s body was brought to Bhau who ordered it to be placed on his own riding elephant in the rear seat of which Bapuji M. Hingane was seated .To Vishvasrao Sadashivrao was deeply attached. Bhau himself had trained Viswasrao himself and had been his constant guardian and companion in the wars of South India .At the time of departure from Patdur the weeping mother of Viswasrao , Gopikabai was promised by Bhau about the safety of her son. The boy had returned his uncle's affection and seems to have loved him more deeply than even his own father. The kaifiyat reports a letter by Viswasrao to Peshwa “You will surely get other sons like me , but not other brothers like Bhausaheb” .Viswasrao’s body was later found dead on a elephant by Barkhurdar Khan’s men and his body was criminated by Kashiraj . There is a common pun in Maharastra आमचा विश्वास पानीपतात गेला which is definitely due to the loss of Viswasrao at Panipat.